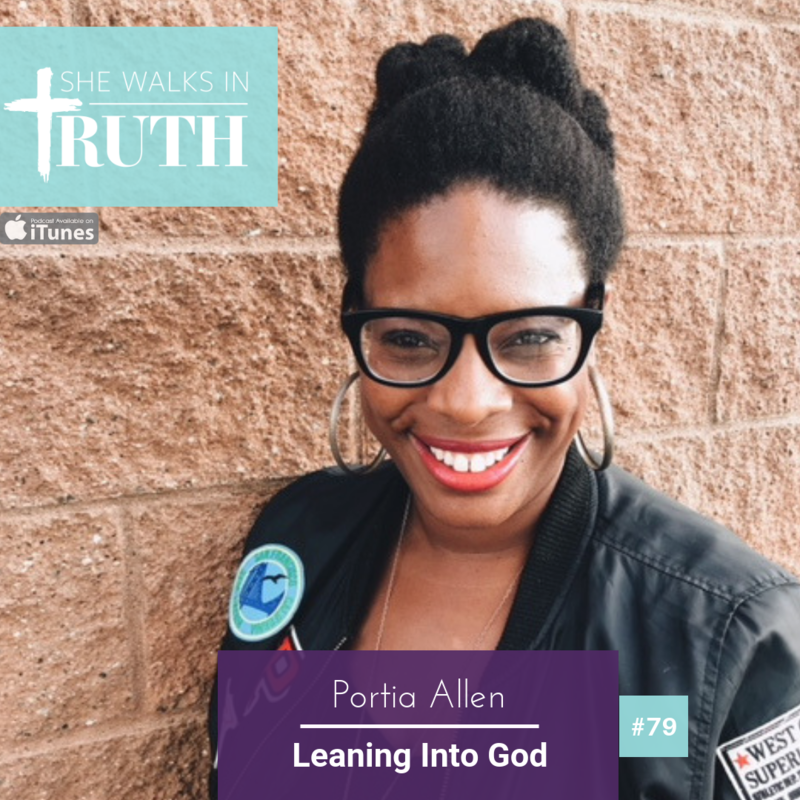 Portia Allen is a wife, mother, mentor and teacher whose heart is to encourage and champion the people of God to be what God has called them to be. She joins the She Walks In Truth podcast to about motherhood, sisterhood and leaning into God in the midst of our messes to strengthen us! 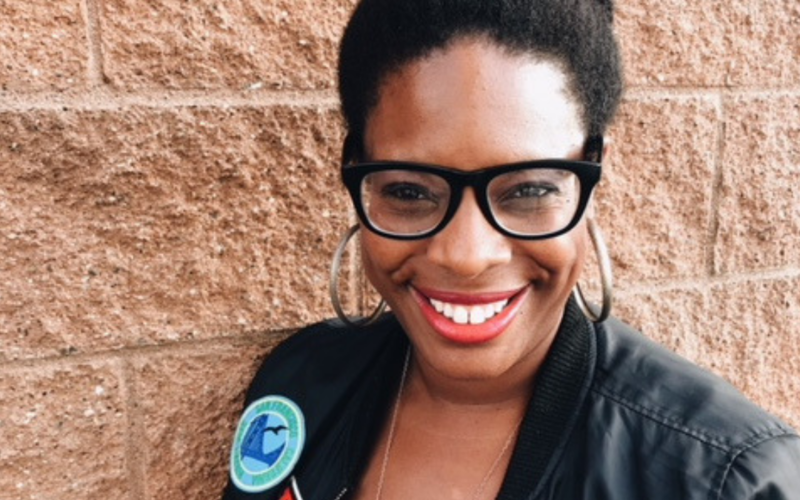 Portia shares her faith story and unique upbringing as a pastor’s child and a military kid whose family moved around a lot. Her perspective of seeing her dad’s role as a drill sergeant in the Army as well as pastor shaped gave her a front row seat to God’s compassion and goodness. Portia’s always loved Jesus, even through a a season when a friend challenged her and told her she only believed what she believes because of her parents. During that season she stepped away from doing what was Christ-like by stepping into the party scene however she never missed church or worship but would leave before she had to look anyone in the eyes. At one point Portia remembers becoming so sorrowful over her sin discovered the power of God’s grace and it changed everything. Portia shares about her passion for reminder her sisters that they’re a daughter of the King and that as a daughter of the King you have so much that is available to you. You are beautiful, loved, fully known and still fully loved but also you have been equipped and empowered to great things. And that great thing looks different for everybody. Remember… you can do this. You might have gotten knocked down, but let’s get up, you’re okay, let’s God back to God and repent if we need to and get back to doing what he’s called us to do because he’s given us everything we need for life and Godliness. Life is messy. We have to recognize we are not perfect. We’re going to mess things up. And when we do…how are we gonna respond. Instead of running, God says let’s talk about it! In this segment, Carrie and Portia talk about forgiveness and how important it is to forgive, release and bless others. How sometimes it’s easier to extend grace to strangers than it is our own family. Portia shares how her family is forming her in ways her women’s group, or church community can’t. It’s a continual process but Portia is thankful for this new perspective from the Lord. Portia opens up about the importance of seeking wise counsel. How often do we go get check-ups for our teeth, health, cars, etc. so why wouldn’t we get a check up if we need to walk through something like a major life change, an important decision and beyond. Seek God with all your heart, soul, mind and strength!!! Why are you afraid. Did you believe your fears more than me today. Let’s believe our Lord above our fears. He’s our source and our anchor. Want to get in touch with Portia Allen?